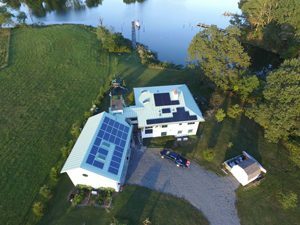 On October 6 & 7, four homes in the Northern Neck of Virginia are holding an open house as part of the National Solar Tour organized by the American Solar Energy Societyand Solar United Neighbors. Three of the four are located in Northumberland County. The homes include off-grid and grid-tied systems, solar hot water, and a combined solar and wind system. This event is free and everyone is welcome. To find a tour near you, visit https://nationalsolartour.org/. Tour organizers ask that you RSVP through the web site, so the homeowners know how many people to expect. Two of the homes are in the Ditchley area just north of Kilmarnock and are owned by NAPS members Roger & Bette Gruben. The main residence is located at 150 Jordan Ln., Kilmarnock, and the open house is Sunday, October 7 from 10:00 AM – 2:00 PM – Click here to RSVP to take a free tour the main residence. The second home is an off-grid guest house/workshop located at 198 Cobbs Hall Ln., Kilmarnock, and the open house is Saturday, October 6 from 10:00 AM – 2:00 PM – click here to RSVP to tour the off-grid guest house/workshop. The Grubens are also offering rides in their all-electric Tesla Model 3 which they charge with electricity generated by the solar panels on their house. 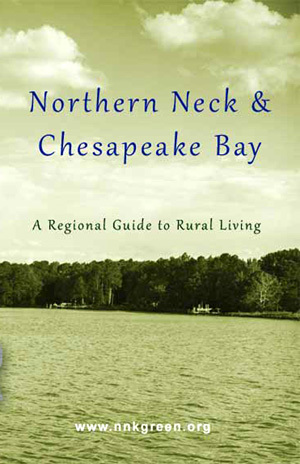 The other Northumberland County solar home is located on the south shore of the Great Wicomico River near the rte. 200 bridge (494 Wicomico Dr., Heathsville). The open house is Saturday, October 6 from 9:00 AM – 1:00 PM. Click here to RSVP to take a free tour. The fourth home is located near Warsaw (937 Riverdale Rd.). The open house is Saturday, October 6 from 10:00 AM – 3:00 PM. Click here to RSVP to take a free tour.